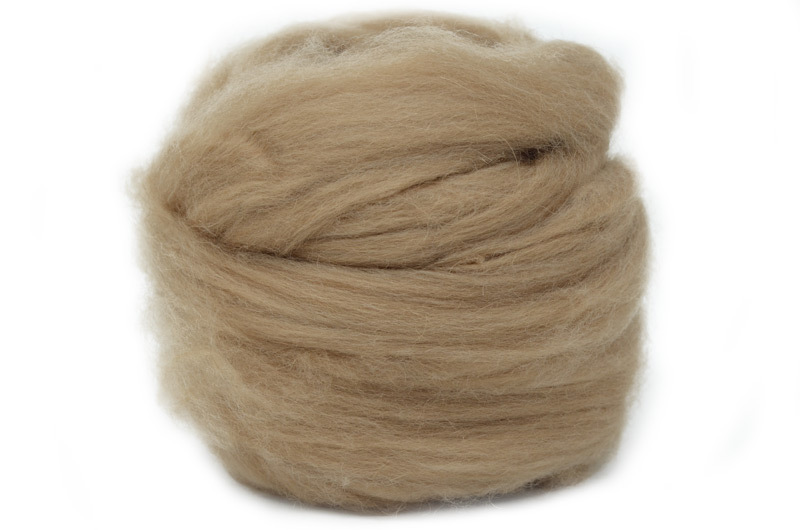 Camel hair might be the first thing to spring to mind when you're thinking of the soft fibres that are available. The camel we offer is from the down under-layer of the animal. It's this softer hair that keeps the animals warm during the chilly nights that you find out in the desert. Is this is an animal fibre it will felt, but will need a fair amount of work due to the fine quality. It can also be spun and blended in with other fibres.